The newest addition in the AmaWaterways fleet, the ms AmaCerto incorporates old favorites and new features. This vessel offers 82 river-view staterooms and a majority feature "Twin Balconies". Guests will discover fine dining at the main restaurant, a tasting menu at the Chef's Table, a wine bar and a casual al fresco bistro. Curl up with a good read in front of the fire place in the library, enjoy the fresh air while strolling on the Sun Deck or relax your tired muscles in the heated pool after a long day of sight seeing. Along with guided tours, bicycles to explore towns and cities at your own pace and attentive staff the AmaCerto will make river cruising a one of a kind vacation. I celebrated my 60th birthday with 3 of my Gal Pals. We were called the Texas Group - Boots and all!! Every one was wonderful, food was wonderful. We even had the Hershey Wine company on board. We were not disappointed with your river cruise in and around Holland. The choice of excursions was excellent: we were stunned by the Airborne Museum/Cemetary at Arnhem. The guide was very informative. The flower garden visits were spectacular and at the height of their glory. The ship was in top shape. The state rooms were very carefully attended to. The dining staff were great. Our Cruise Manager, Sonja, was very helpful and accommodating. Altogether, we have a great vacation - despite the very cold weather - but that, unfortunately, is beyond your control! The cuisine was amazing. My cabin was comfortable and attractive. Crew members were friendly and helpful. The excursions were well organized and interesting. The ship itself was a jewel - and the cruise smooth and memorable. Make sure you have a french balcony and/or full balcony - it's nice to have the fresh air and quiet space to enjoy the scenery. I would recommend getting the full balcony cabin and closer to the front of the ship is likely to have less engine noise. The Captain's Table dining option was spectacular. Don't forget to sign up for the Chef's Table!! You won't be disappointed! 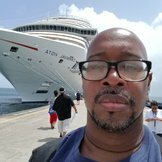 If you choose to follow AmaCerto you will receive weekly email updates with the latest reviews, tips, and photos from Cruiseline.com members about AmaCerto.